14. Sonata III in B Minor, C 92 "The Nativity"
Castles and fortresses, kings and dukes have always stimulated the imagination and stand for romance through the centuries. Aristocrats and lords of the manor as patrons of arts, the emotional music culture at the courts and legendary castles are programmatical subjects, which dedicates the series "Castle Concerts" from many aspects. The fact, that romance in music encompasses much more than the so named epoch, makes many of the compositions from different centuries and their interpretation by outstanding artists, which are presented in this series, palpable. Listen to that also in the concert here. The fact, that even Baroque composers put a lot of emotion into their mostly formal rigorous compositions, can be experienced during our festive Advent concert. 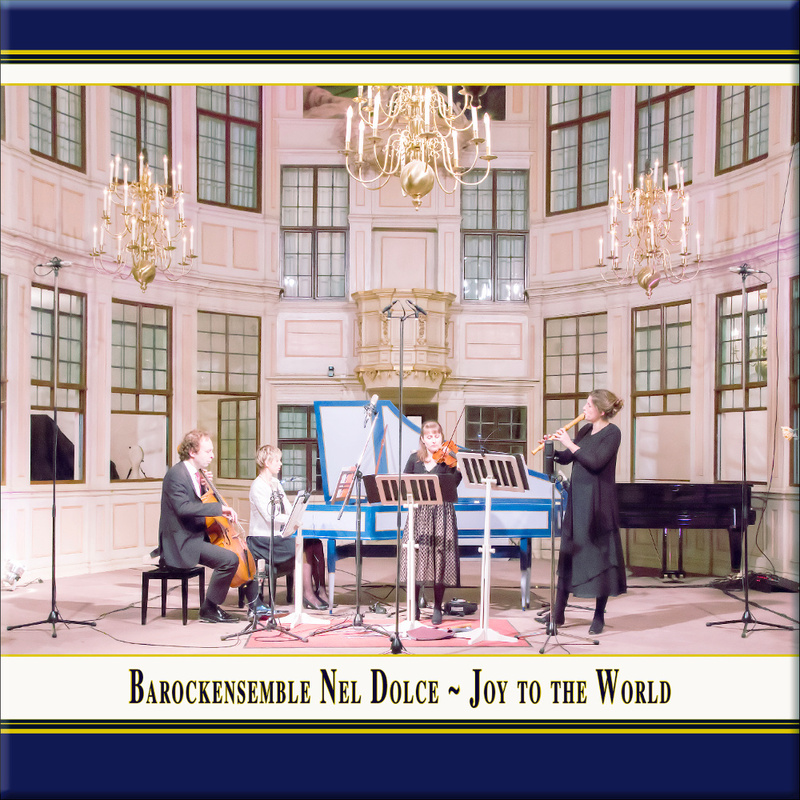 The concert, titled "Royal Christmas - Joy to the World", provides an insight into the music culture at the English court during the Baroque period, when all kind of musical art in Europe was unthinkable without the king's and ruler's role as patron of arts. The German landgraves of Hessen-Homburg has also encouraged arts. But above all, they have left us with the castle church in Bad Homburg vor der Höhe a wonderful place, where the four musicians of the ensemble "Nel Dolce" virtuosly performed strongly different compositons on reconstructed historical instruments. Let yourself be carried away to a glorious time and enjoy baroque joie de vivre. Decisive for the conception of this concert was a performance schedule, which could have sounded like this or similar like this at the English court in London as a Christmas concert at the time of the High-Baroque era. Almost without exception, composers were selected, who were either born in England or emigrated from other European countries to London to create and perform in this cultural metropolis during the Baroque period. At that time London's cultural life was characterized by a mixture of many different regional music styles of Europe, brought by many immigranted musicians and composers from numerous countries (especially from France, Italy and Germany) from their homeland. The various Christmas aspects in the selected compositions are expressed, among other things, by the selected keys, which had a strong meaning in the Baroque period. The bow spans from D Major as a happy-shining key over the contemplatively warm key F Major (the Baroque musician Johann Mattheson wrote: "The noblest and highest feelings are as simple as the feelings of a beautiful person, who succeeds everything.") to B-Flat Major, which Mattheson ascribes the affects "joyful", "great" and "with sweet modesty". from: "The Second Book of Aires for two Violins & Bass"
No. 19 from "The Firste Booke of Songes or Ayres"
"Fatto per la Notte di Natale" · "Christmas Concerto"
A concert recording to "Direct 2-Track Stereo Digital HD"